TEAM missionary Christine Elizabeth put together her top list of blogs, podcasts and online resources for missionaries. Did yours make the list? Christine is a co-founder of a specialty coffee shop in the central business district in Manila, Philippines. Along with living on mission with her husband, she loves connecting people and resources. Wherever she finds herself in the world, she'll always call the US and Canada home. Living away from my home country brings its set of challenges — one of which is wanting to find connections with people who also are living outside their home culture. I’ve always been intrigued by the power of connection through social media, but over the last two years of living in Manila, I’ve learned even more about the power posting can have on building relationships. Here is a list of online resources that have helped me connect with other missionaries and their stories from around the world. 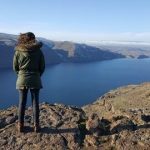 For many of my friends who live overseas, Velvet Ashes is not just their favorite blog, it’s the only blog they read about expat life. Velvet Ashes is an online community for women who live outside their home countries and desire to connect with others and thrive. The site hosts retreats and book clubs and features blog posts written by women around the world. Thrive Connection: heartfelt pieces written by women living overseas. Erin Meyer’s blog: articles and resources on doing business cross-culturally. Nations Foundation: gospel-centered reform through creative journalism. If you’re looking for country-specific blogs, a simple search with keywords like “expat” or “missionary blog” plus your host country will likely return personal blogs. These may give you some surprising new connections, insights and encouragement. Maybe a new friend or two, as well. I started using local buy/sell Facebook groups as a way to furnish our apartment. But I discovered there are Facebook groups for many different demographics living here in Manila (women, moms, trailing spouses, men, even wives of foreign men who run hotels). Through a group focused on expat women (called “Ma’am Manila”), I’ve been able to ask cultural questions, learn from other women’s experiences and even have met offline with other women living here. Do a Facebook search to find out if there are groups in your area available to join. Little did Naomi know that a simple blog post would grow into an online Facebook community of over 10,000 people from all over the world. In 2013, she posted this blog post called “I Am a Triangle,” describing the tension expats face when they return to their home country after living abroad — how they no longer feel like they fit. Her words caught the heartstrings of many who have lived in multiple countries. There is now a community of men and women coming from different cultures and living in different cultures, sharing and connecting about life on this Facebook group. Find out what Facebook groups are available through your missions organization. Organizations may have groups where everyone can post and share updates, and some may have groups for specific demographics (women, millennials, businesspeople) to communicate and share resources. It’s becoming more and more common for social media to spawn real-life friendships. But while distance may keep us from all connecting in person, we can easily share life with others who walk a similar path to us. You can also search for locations near you to find people with common interests in your area. 1. Global Missions Podcast: A collaborative effort between mission organizations, this podcast dives into current discussions and topics around the world such as raising support through storytelling, the global refugee crisis and tentmaking. 2. Engaging Missions: Bryan is a storyteller. While his day job in logistics may make your eyes glaze over (his words, not mine), he has a Skype account, and he’s not afraid to use it. Bryan interviews missionaries around the world and shares their stories on this podcast. (He also shares some of his favorite podcasts here). 3. Two Fat Expats: Kirsty and Nicki are two seasoned expats who think a life overseas is meant to be enjoyed rather than endured. And they believe that life should be lived large. Currently in season three, their episodes are informative, entertaining and endearing. Did I leave one of your favorite resources off this list? Let me know in the comments below. 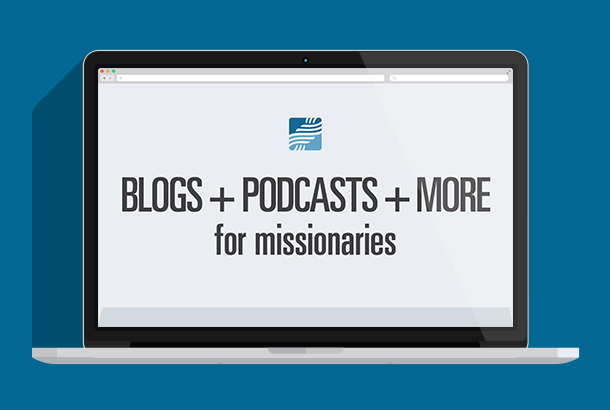 And be sure to subscribe to the TEAM blog for regular posts about life as a missionary. success that has been seen in missions despite of challenges and other difficulties. Glory to the Lamb of God,Jesus Christ our Lord and Savior.